İVRİZ ROCK RELIEF - Solvotek Mühendislik ve Bilişim Hizmetleri Tic. Ltd. Şti. İVRİZ ROCK RELIEF - Solvotek Mühendislik ve Bilişim Hizmetleri Tic. Ltd. Şti. İvriz Rock Relief is located near the İvriz village, 12 km to Ereğli, Konya. The relief is carved on the rock walls near a large spring. Furthermore, in the vicinity of the relief at least three other inscribed rock fragments were found which appear to be parts of other monuments. Further up in the mountain at Ambar Deresi, there is a second relief which appears to be a replication of the İvriz relief. It is approximately the same size, less detailed and probably was never finished. Unlike the İvriz relief this one has no inscription. These reliefs are tought to be the first ever rock reliefs having inscriptions in the world. 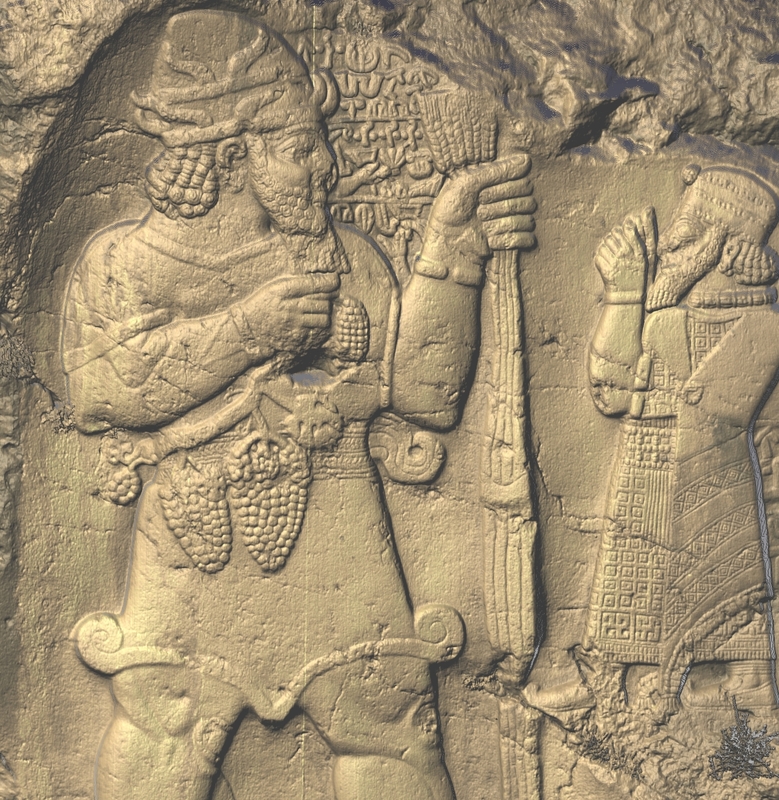 Solvotek was requested to 3D laser scan both the Ambarderesi relief and the İvriz relief and document them with high details.